This is a common recipe for bacon-wrapped asparagus in Japan. We wrap a cut asparagus with a piece of bacon. The dish is usually pan-fried or grilled. 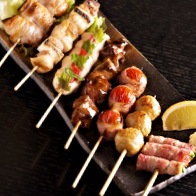 You will often see bacon-wrapped asparagus on a long stick on the menu at Yakitori restaurants in Japan. When making it as a homemade dish, we usually use a toothpick instead of the long stick because it is easy to cook. But be careful about the toothpicks when you and your family eat. Of course you can serve without toothpicks even though the bacon wrap might come off. I use turkey bacon in this recipe but you can use any kind of bacon you want. And also if you or your family don’t like using cooking Sake or white wine for the dishes, you can substitute stock or broth for those. We have this dish as a side dish and we sometimes put it in our lunch boxes. In Japan, some kindergartens, most elementary schools (1st~6th grade) and some junior high schools (7th~9th grade) serve school lunch. If the school doesn’t have school lunch, we bring boxed lunches (sometimes the school also has a small shop to get lunch). My mother made boxed lunches for me and my sister all the time when our school didn’t serve lunch. We loved her lunch boxes so much!! 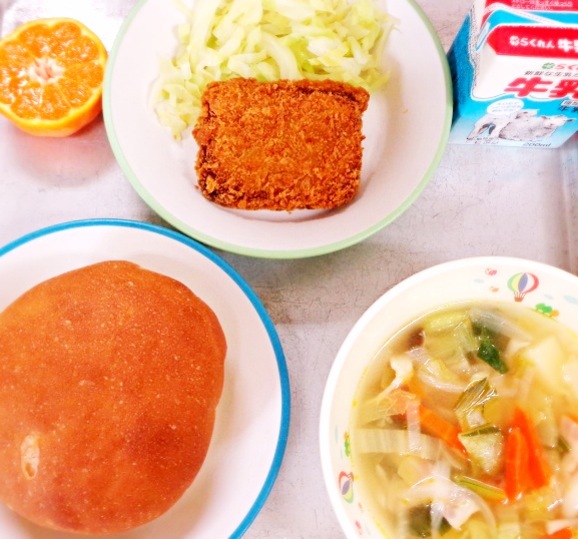 This is one of common Japanese school lunch. 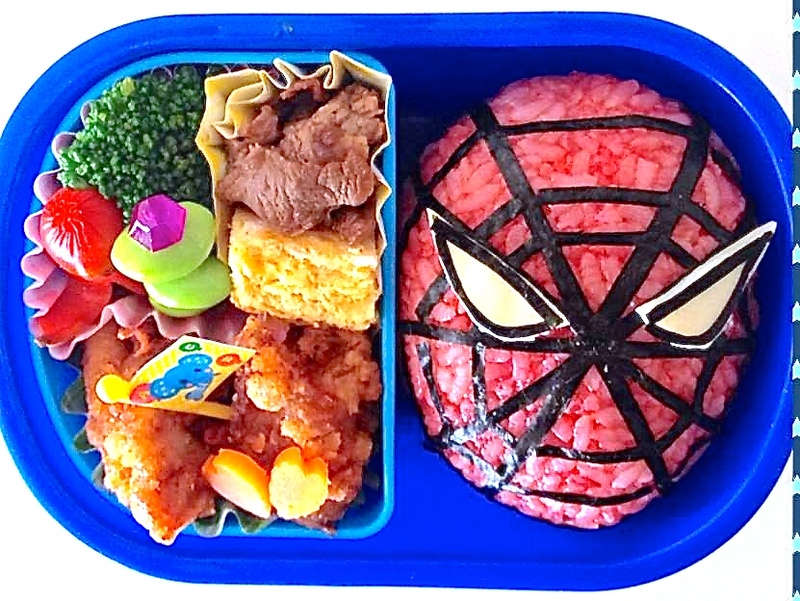 Recently, many Japanese mothers cook very cute lunch box dishes for their kids, which we call “Character Bento”. They decorate their lunch as cartoon’s characters with many ingredients to make their kids happy to eat everything. I really respect the mothers because they get up very early, prepare their family’s breakfast and a wonderful lunch box for their kids (some of them prepare lunch boxes for their husbands as well, not “Character Bento” though), and then many of these mothers get ready to go to their own work! My Japanese friend made these boxed lunches! It is incredible!!! The 2 pictures are “Character Bento” for her boys. 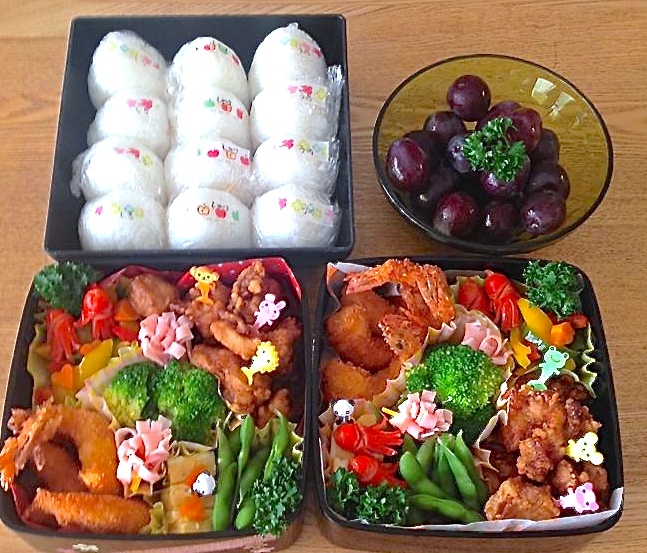 The 3rd one is a normal Bento for family event. I recommend this dish with any meal. If you want to have it for breakfast or in a lunch box, you can prepare it the previous day and cook it in the morning, or you can cook it the previous day and microwave in the morning, because the cutting, wrapping and cooking can take a little extra time, especially in the morning. Categories: side dish | Tags: asparagus, bacon, Delicious, Easy, Finger Food, flavorful, Homemade, Pan-Fried, Quick, recipe, side dish, yummy | Permalink. 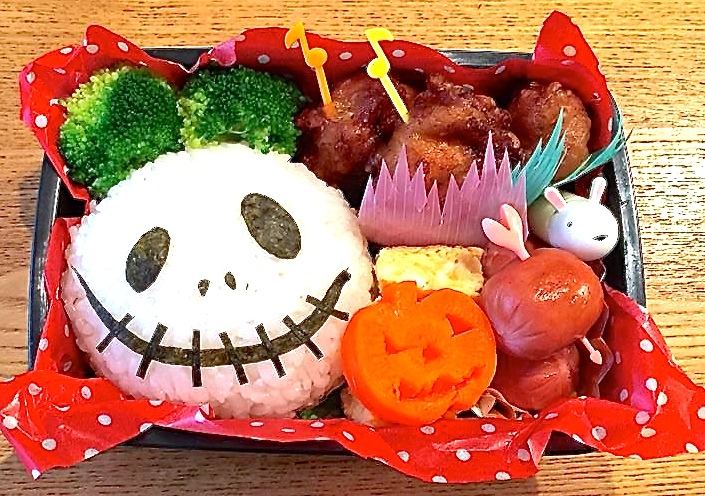 that is really adorable and kudos to the Mom who made those character bentos for her kids!! Turkey bacon is a healthier choice and for anyone who keeps a kosher kitchen it is available in kosher brands. another fabulous recipe and story insight into Japanese culture. My friend whose name is Kazumi, is awesome! She has a great husband and three cute boys. She cooks every meal including the boxed lunches for all of them. Of course she has job which is pharmacist. I can’t imagine how busy she is! !